Ivy_bw, originally uploaded by The Bacher Family. I took this photo as a color slide in 1990. It was only as I was looking back through my old photos that it occurred to me what a great black and white it would be. Of course, in the digital age, that's easy to make happen! 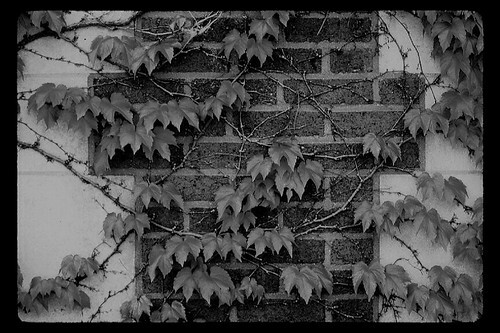 This ivy is on the side of the old Science Building at Goshen College, in Goshen, Indiana.